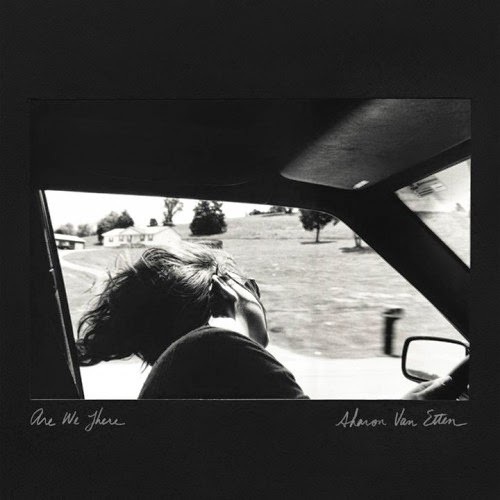 It's been a meteoric rise for Sharon Van Etten from small venue folky to one of the most universally critically-acclaimed indie singers around. This week she released what is sure to be another adored album Are We There. The issue I have always had with Van Etten's music is that it all starts to sound the same after a while. A couple of songs into a record or a concert and you swear that you've already heard that number. That doesn't really change much with Are We There. Tracks like "You Know Me Well", "Break Me", and "I Know" are the slow, mopey cerebral folk-based style that runs through most of her output. "I Love You But I'm Lost" is is a fairly standard piano ballad. Horns come into play on "Tarifa", offering up an interesting twist for what is otherwise a very forgettable song. There are some moments of spark. A harsher guitar reverb is welcome on the otherwise Cat Power-ish "Taking Chances". "Our Love" is mellow, melodic, and verging on hypnotic. The cold, desolate vibe on "Nothing Will Change" is lovely, despite a sometimes glacial pace. The real standouts are "Your Love Is Killing Me" and the album closer "Every Time the Sun Comes Up". On the former, Van Etten's vocals are the star, wrenching you from the deepest depths up to soaring heights. The latter is a warm, moving and gorgeous way to round out the record. Are We There is appeal to those already enamored with Van Etten. Those on the fence will likely stay firmly planted there. Best tracks: "Your Love Is Killing Me", "Every Time the Sun Comes Up"